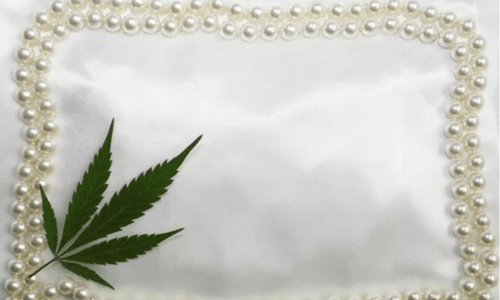 The Lionsgate Event Center in Lafayette, Colorado, where the third annual Cannabis Wedding Expo took place on a recent weekend in late January, is a fun and funky space. The center's previous life as a dairy farm is evident from the outside, thanks to the sturdy former barns and farmhouse on the grounds. As guests arrived at the locale, there were even a dozen or so chickens running around among the three main buildings that are currently situated on the compound. But once inside, guests found themselves in a different world: rooms with lovely scents and smells, live music, balloons, tent-like panels hanging from the ceilings. The products for sale were, on the whole, just like those to be found at a mainstream wedding expo — but with a twist.